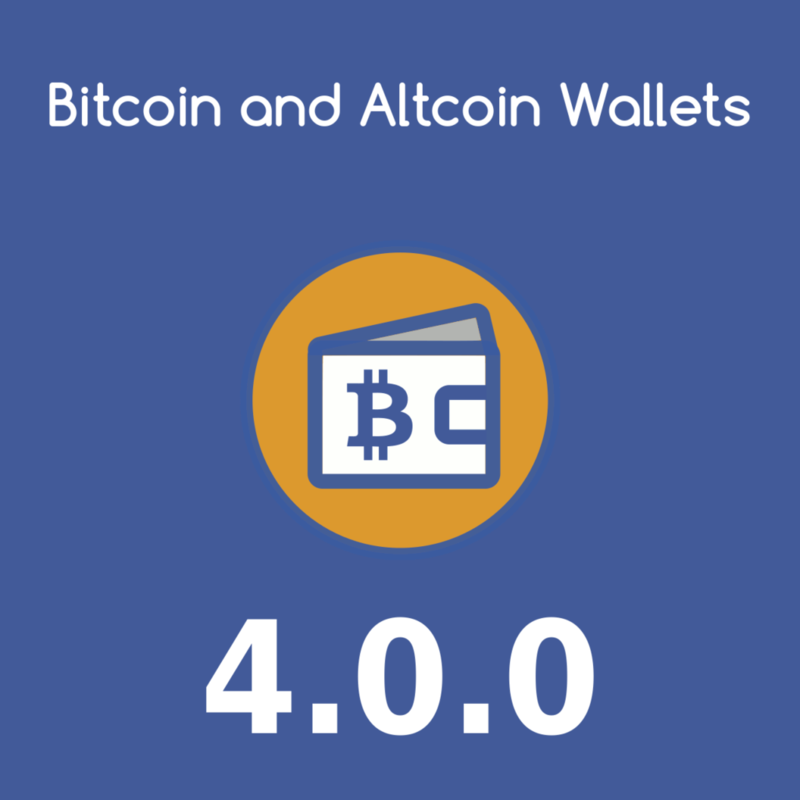 Release notes for version 4.0.0 of Bitcoin and Altcoin wallets, including a discussion of the concept of unavailable balance. A number of issues with the recent beta versions of the Exchange extension have made it apparent that the Bitcoin and Altcoin Wallets WordPress plugin needed a better way to handle the concept of unavailable balance. Version 4.0.0 introduces unavailable balances. Unavailable balance is the part of a user’s balance that is locked in either pending transactions or in market orders that have not yet been filled. This is now reflected throughout the plugin: in the [wallets_balance] shortcode, in the admin screens (user balances and user profile screen), and most importantly in transaction placement and transaction execution. This is a huge change throughout the entire codebase. Since users need to be aware of this change, the major part of the plugin’s semantic version is bumped: If you are using the Exchange extension, you will need to update to the next upcoming version of the Exchange to version 0.6.0-beta. The previous version 0.5.3-beta of the Exchange extension WILL NOT be compatible with version 4.0.0 of Bitcoin and Altcoin Wallets. The addition of the concept of unavailable balances was also necessary for the upcoming release of the Fiat Coin Adapter extension, which will allow manual withdrawals to bank accounts. A number of users have reported problems with retrieving exchange rates from CoinMarketCap. This was because the 3rd party API has changed. Without a CMC API key, the plugin will only retrieve information about the top 100 cryptocurrencies. If you create an API key with CoinMarketCap and enter it into the plugin, only information for enabled coins will be downloaded. If you choose to use the basic (free) plan, then note the cost of calling the API with your account key. If exchange rates are set to refresh once an hour, then the daily and monthly limits will not be reached with the free plan. The code that pulls exchange rates from CoinGecko has been updated and made more efficient. For most users, enabling CoinGecko will be sufficient. For a full list of changes that made it into the 4.0.0 release, see the changelog.